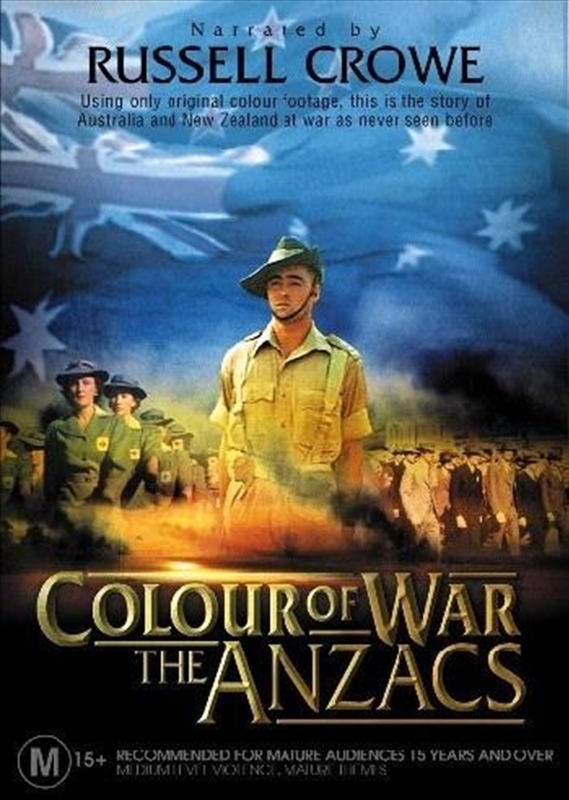 This is the story of Australia and New Zealand at war as never seen before. For the first time, only original colour footage is used to paint a vividly detailed picture of these closely allied nations, from the build up to World War Two to the end of the Vietnam Conflict. All the colour is real - not colourised - offering a rare glimpse of a time usually seen in black and white. Newly discovered films, home movies and compelling first-hand accounts allow viewers a very personal connection to the war experience, both on the battlefield and on the homefront. In colour, that shared history becomes even more intimate and involving. Diary and letter extracts tap into the thoughts of ordinary people living through world-shattering events, and reveal with great poignancy how every part of society was touched by war. Years of international research has unearthed footage of troops in Crete, Italy and North Africa in the 40s, in the snows of Korea in the 50s and the jungles of Vietnam in the 60s. There is film of Eleanor Roosevelt's and Lyndon B. Johnson's visits down under, women working on the land and in factories, and children playing dress-up as soldiers and nurses. Much of the material was shot unofficially by civilians and servicemen, providing an eyewitness account of life in troubled times. Narrated by Academy Award winning actor Russell Crowe, this powerful and moving three-part series captures the feelings of people caught up in history and the mood of two countries as they take their places on the world stage.